Childish Gambino fans started the weekend off right since he dropped off two new songs in his Summer Pack EP. Both tracks did as the title promised, providing summer times vibes to be enjoyed for the rest of the hot days. As a way to push his release and show more love to the tape, Summertime pop-ups appeared in London, Los Angeles, and New York this past weekend. From photos posted online, we see that fans were given ice cream and a cool place to chill out, reminding them of #summertimemagic - check them out below. Both new songs, that so clearly touch on the topic of love, is something Childish has spoken about previously when an interviewer questioned if "love depends on how conscious you can be." "That’s what love really is at the end of day, its not even a selflessness, but it's like an understanding that I’m making a safe place for you," he responded. 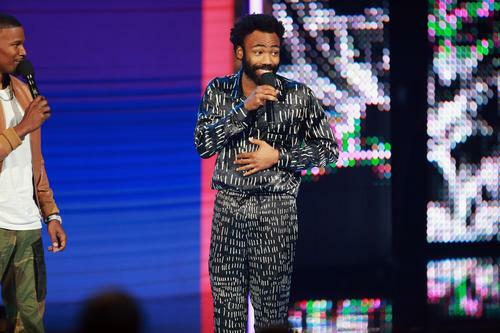 The latest songs come after his beloved release, "This Is America" that has since gone platinum.